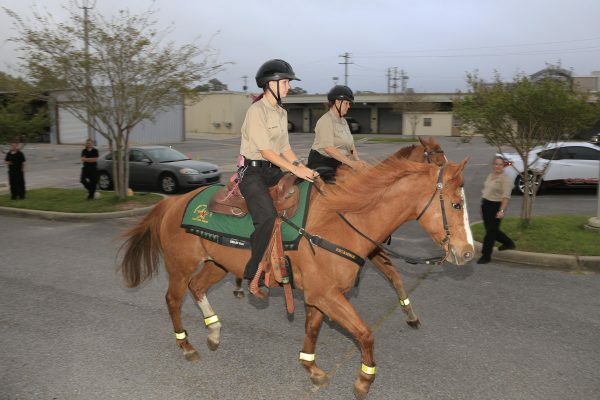 The Mounted Posse Unit’s primary function is to assist the Escambia County Sheriff’s Office in providing public safety when the use of a horse would be advantageous and to promote good public relations between the Escambia County Sheriff’s Office and the citizens of Escambia County. 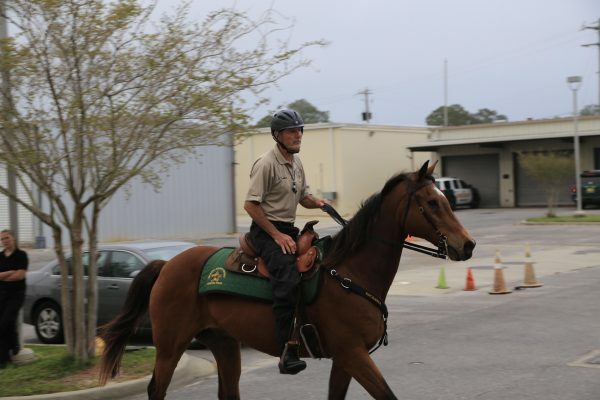 The use of a horse can enhance patrol capabilities such as crowd control, control of large areas, dignitary protection, search and rescue and at special events. 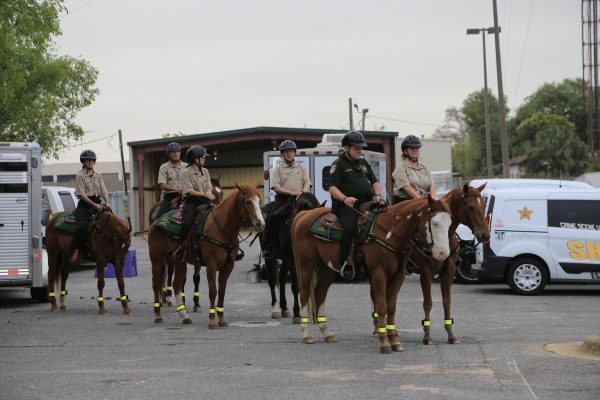 The Mounted Posse Unit participates in numerous events throughout the year such as patrolling high crime areas, Operation Clean Sweep, various civic functions, school and church carnivals as well as riding in the various parades held in Escambia County. 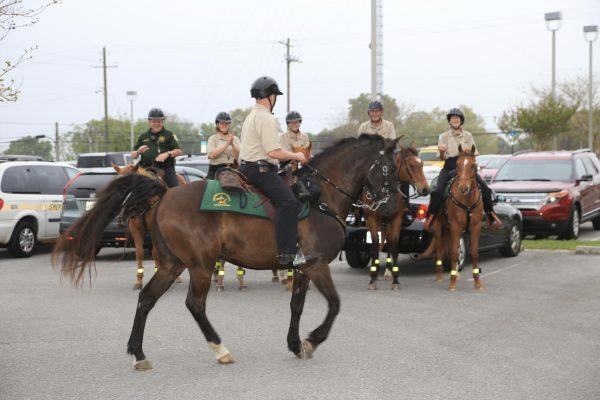 They have also assisted the Sheriff’s Office in apprehending wanted suspects, traffic control and the enforcement of traffic laws in Escambia County. 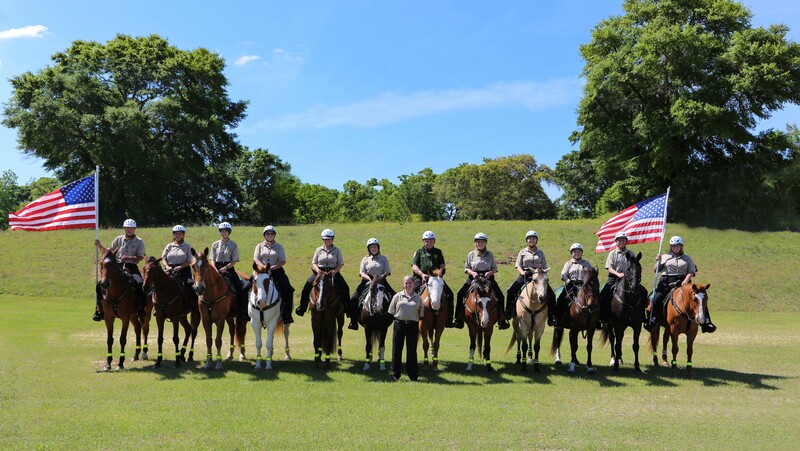 The Escambia County Sheriff’s Office Mounted Posse Unit is always open to new members. 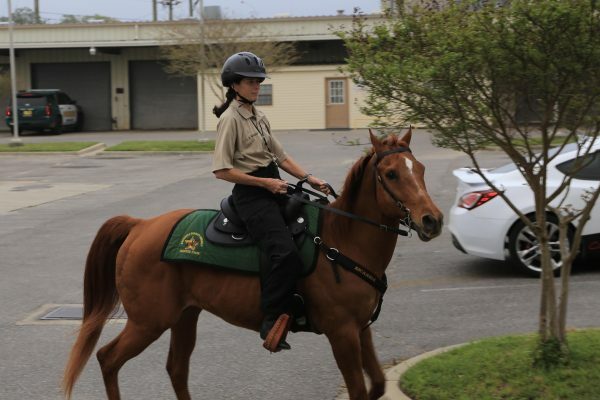 Horses, equipment and all costs incurred while participating in Mounted Posse Unit activities are the responsibility of the individual rider. 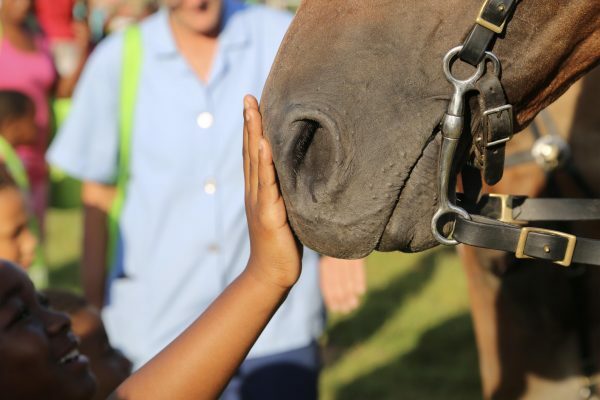 Prospective new members must complete an intensive evaluation and training process for both horse and rider prior to joining the unit. 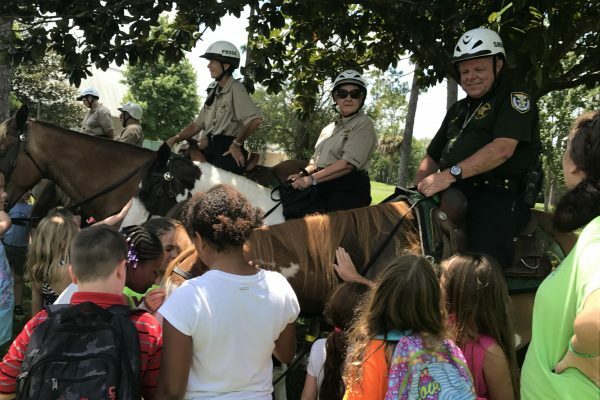 For more information on joining the Posse or to schedule the unit to participate in an event contact: Officer Howard Enderson at (850) 436-9310 or David Craig at (850) 436-9281.